Normally potato soup to me means lots of cream and butter! And yes, it is delish that way! Yes, that was a big but. 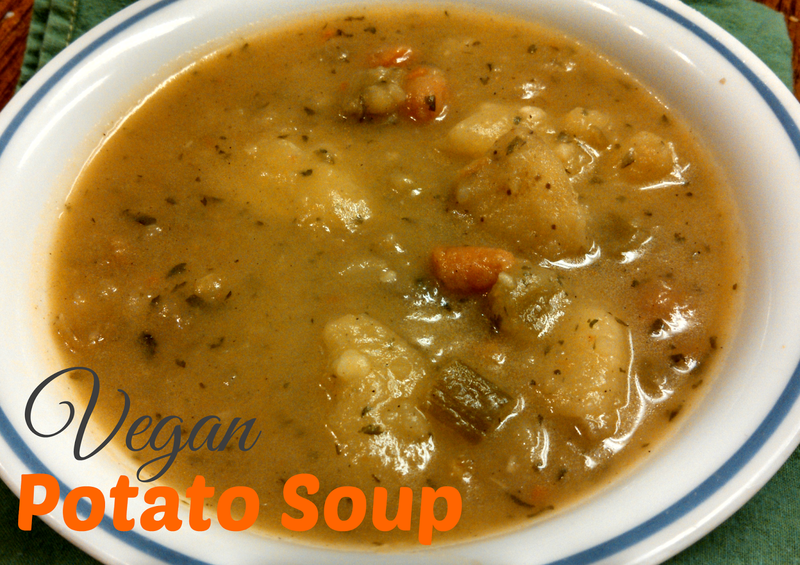 The new way that I tried to make this potato soup, is not just delish- it was AMAZING!! Oh I bet you are dying to try it now, and you should be! It is so hearty and so flavorful!! Doesn't it look good?? I bet you are so jealous now...well, don't be! You can make this amazing potato soup for yourself in 30 minutes!! Technically it would be 45 minutes with prep time, but who is watching the clock anyway! Heat olive oil in saucepan over medium heat. Cook onions, carrots, and celery until vegetables are softened. Stir in garlic, and cook for another minute, stirring constantly so garlic doesn’t burn. Add broth, potatoes, bay leaf, salt, thyme, and pepper. Bring to a boil. Simmer, covered, for 30 minutes or until potatoes are soft. Discard bay leaf. Add half of potato mixture to a food processor or blender, and process until smooth. Return to saucepan. Stir in almond milk, and parsley. Cook until heated through, and serve. 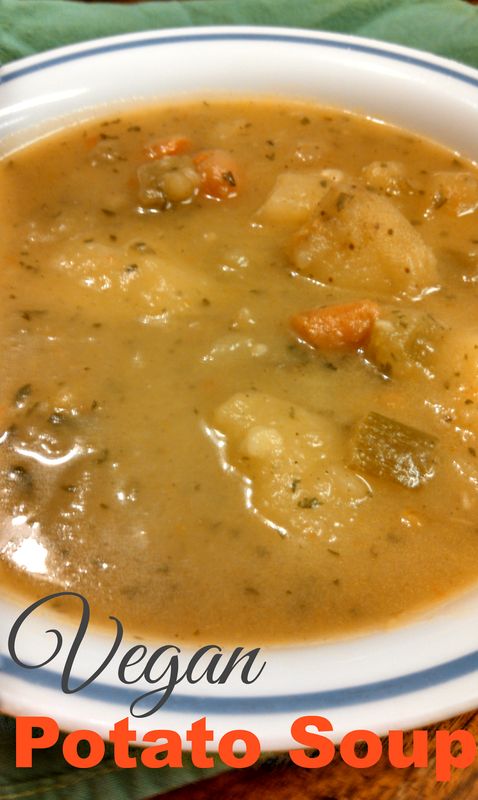 My three kids loved this potato soup! My hubby loved it too, he ate two massive bowls worth. I won't tell you that I ate three bowls, because really it was like 2 then all the left overs from the pot! !